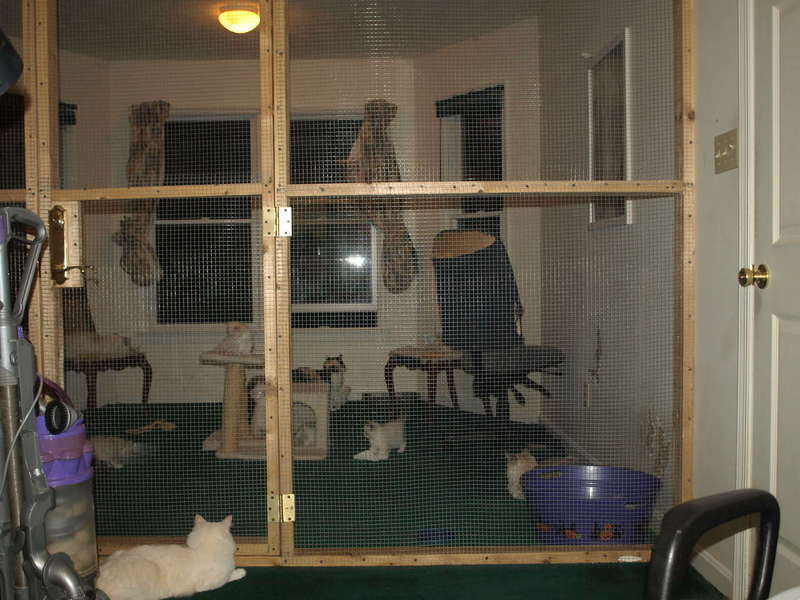 Most people wonder how and where cats are kept but some breeders will never show you where they contain there breeders, since I only offer my cattery to be seen with people with deposits down I placed a few pics here of where my breeders stay. This is where all our cats are kept and bred and where a kitten stays until it is ready to leave us. We operate in home from bed rooms and a sun room with full heat and Air conditioning. I am home 75% of the time to care for cats and am usually present for all births as I know all due dates. Rooms are daily cleaned and vacuumed. Kittens are not raised in cages. The cattery room shown with the green rug is also my office where I use the computer. 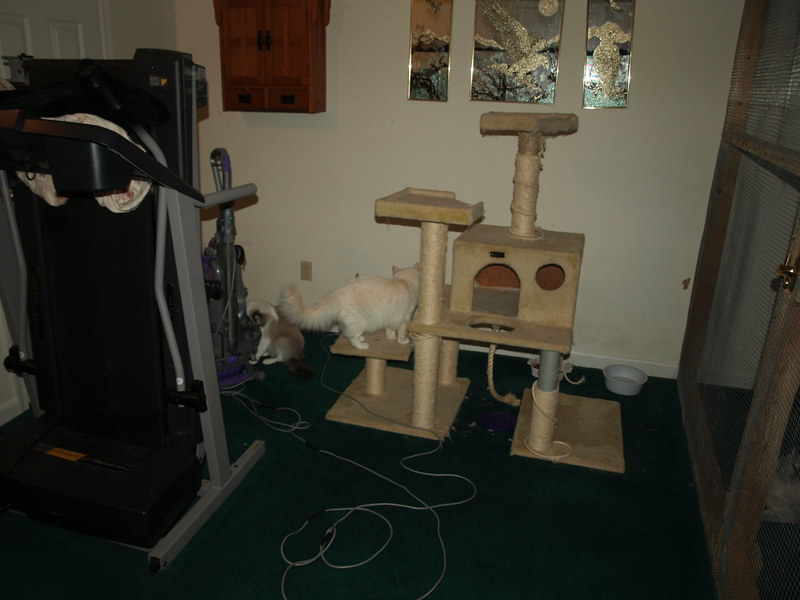 We have a divider panel made from wire so that cats are not clumped in one room and have seprate litter boxes, and also most important we are able to separate cats this way for less stress. We plan to get new flooring and do un upgrade from a rug to linoleum for even easier cleaning and care. This part houses two breeding females and one non breeding female that we kept, she loves and cares for the babies as well. Both moms babies are rasied here. 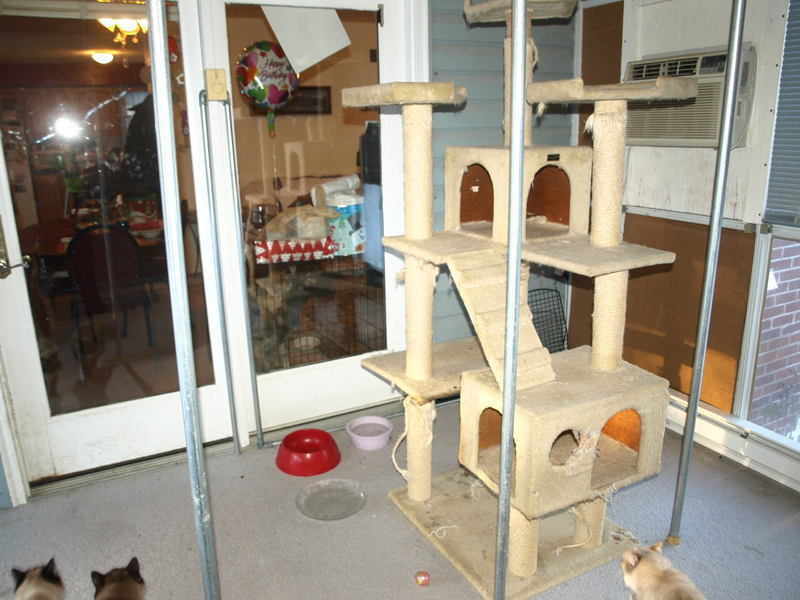 Other side of this room my office and part of cattery. This part houses two males and a spayed female niether of these males spray and are great boys. I spend time in here answering emails and watching over kitten litters. The room shown here is our 10X12 sunroom that is kept cool in the summer and warm in the winter. 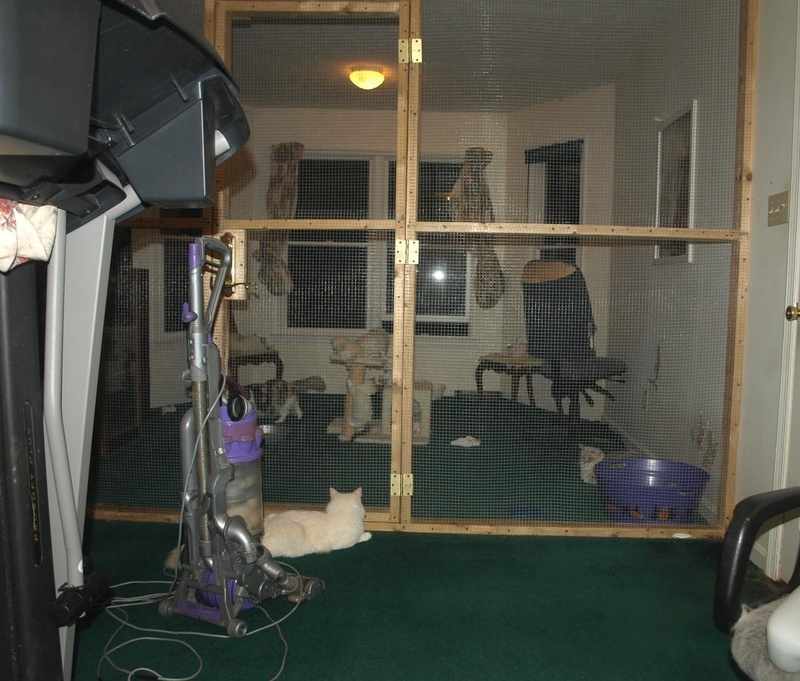 we plan to upgrade this rooms walls by using wood and find more ways to cut cost, the cats love it and on nice days we open the windows for fresh air, the winter poles are not always there just when we expect lots of snow, in any extreem weather cases we bring all of these cats inside the house area. This room houses three breeding females, they are protected from the males so that no over breeding occurs.